As many luxury watch enthusiasts will tell you, part of the fun (or challenge) of collecting vintage Rolex watches is discovering unusual occurrences in their archives. While today’s Rolex collections are very clearly separated, each with their own unique selling points and plenty of marketing materials to explain the ins and outs, it wasn’t that clear-cut fifty plus years ago. Case in point is the Rolex ref. 5500. Although the ref. 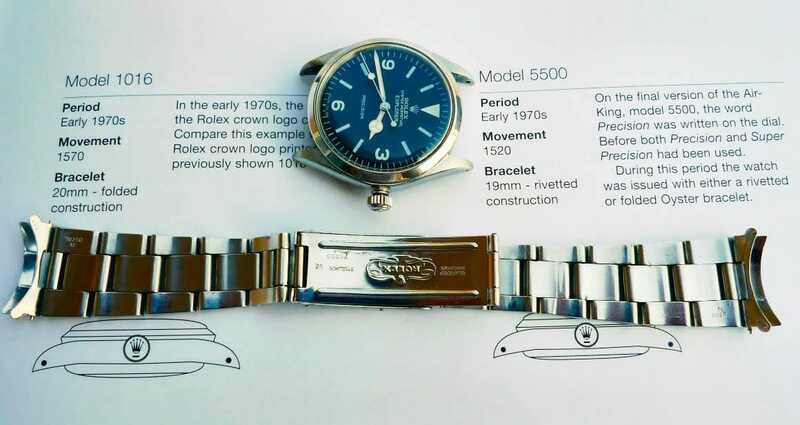 5500 is technically an Air-King, Rolex also simultaneously offered the ref. 5500 with an Explorer dial for about a decade. So, today we take a closer look at the Explorer ref. 5500 to provide some insight on this mysterious vintage Rolex watch. The Rolex Air-King 5500 share a few traits with the Explorer 5500. Before we get to the Explorer ref. 5500, let’s dig into the details of the Air-King ref. 5500 for some context. 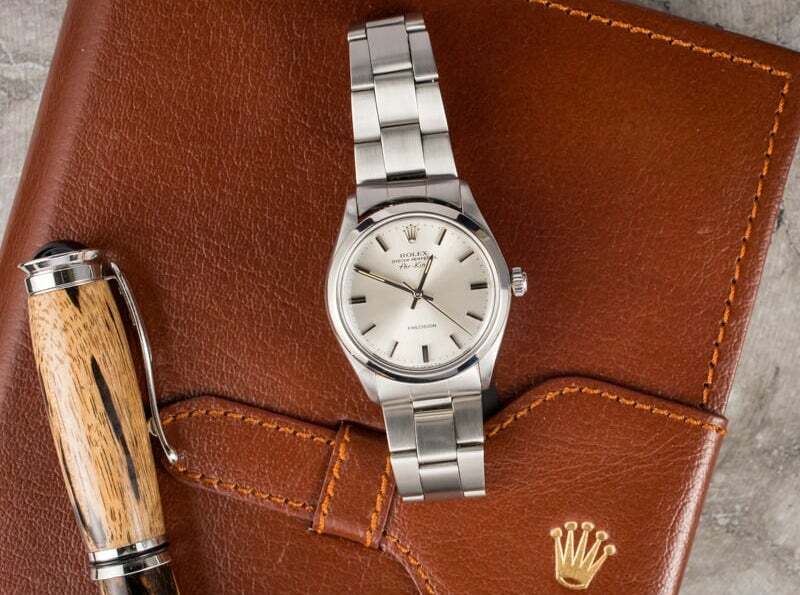 In 1957, Rolex released the stainless steel Air-King ref. 5500 with a 34mm case and time-only functionality. Their clean and straightforward dials were clearly marked with the “Air-King” name under the Rolex logo at 12 o’clock. On the bottom part of the dial, the Air-King ref. 5500 also included either a “PRECISION” or a “SUPER PRECISION” label depending on the caliber it ran on. The “PRECISION” text signifies Caliber 1520 within the case while “SUPER PRECISION” indicates the presence of Caliber 1530. An Explorer 5500 Wristwatch is a rare watch to have. As a beloved classic everyday luxury timepiece, the Air-King ref. 5500 enjoyed a production run of more than three decades. What is the Explorer Ref. 5500? In the late 1950s, Rolex offered a version of the Air-King ref. 5500 with an Explorer dial. As a result, this particular model is often referred to as the Explorer ref. 5500 despite the Air-King case. Therefore, the Explorer ref. 5500 is also 34mm in size. This is noticeably smaller than the traditional 36mm size of the Explorer ref. 6610 and the Explorer ref. 1016 watches of the same era. The face of the Explorer ref. 5500 features the typical black gilt dial, the 3, 6, and 9 Arabic numerals, in addition to, the stick indexes and the inverted triangle. This time, under the Rolex logo, the “EXPLORER” name is clearly on display. 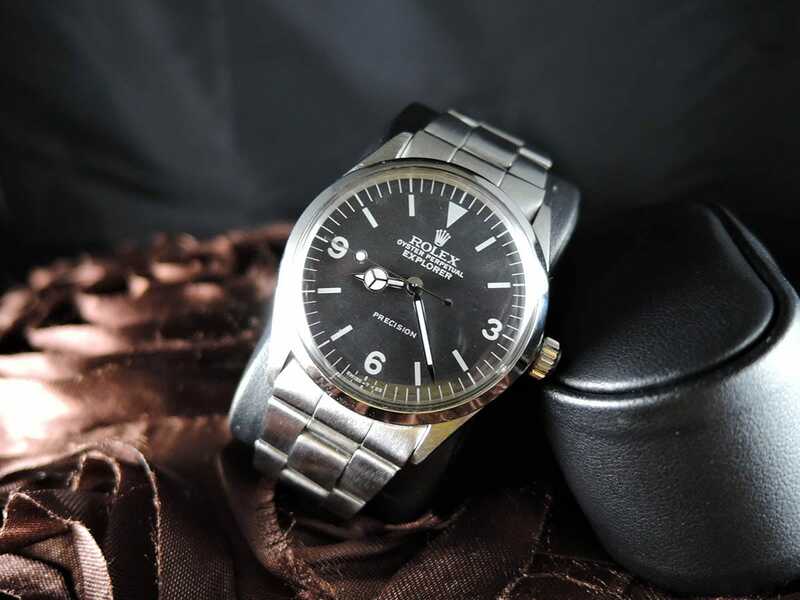 There are also the Mercedes-style hands—characteristic of the Explorer collection, not the Air-King model—as well as the “lollipop” seconds hand. The T<25 marking below six o’clock indicates that the dial uses tritium for luminescence. Similar to the Air-King, there are both Precision and Super Precision editions of the Explorer ref. 5500. There are also some ultra-rare examples with a line under the “SUPER PRECISION” text. Furthermore, there are some instances where the dial includes a double T<25 marking flanking the “SWISS” label. In short, in an effort to attract some younger customers, Rolex ran a little experiment by outfitting the body of the Air-King ref. 5500 with the dial of the Explorer. Since this is an unusual vintage Rolex watch with a few dial variations available, it’s certainly an interesting piece to research, source, and add to any watch collection. In fact, in 2016, Philips sold an Explorer ref. 5500 watch with the underlined “SUPER PRECISION” and double “T<25” for a whopping CHF 28,750—triple its pre-sale estimate. So if you’re in the market for vintage Rolex watches that are a little out of the ordinary, then the Explorer ref. 5500 might just be for you.